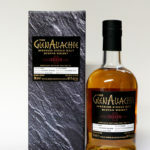 This entry was posted in New Whisky Releases and Bottlings and tagged caol ila, Caperdonich, Duncan Taylor, Glen Grant, Glen Moray, Grain, Islay, Single Malt, Speyside, Whisky on 14 April 2010 by Mike. Another amazing Caperdonich from Duncan Taylor. Think a bag of boiled sweets fruit flavoured. The most complex Glen Moray I have ever had. Well worth the money. You could contemplate the world with this dram but also enjoy it on a warm sunny day in the garden. A big sherried whisky from Glen Grant. It's a game of two halves with big sherry on the nose and more sponge cake and jam in the mouth. Stunning.